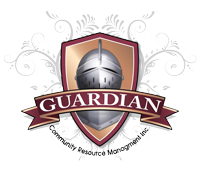 Guardian Community Resource Management Inc. (Guardian) is a full service grant management firm serving local governments throughout the state of Florida providing research, planning, and grant writing, leveraging opportunities, grant administration, project delivery services, environmental reviews, agency reporting, financial oversight and complete desk top and on-site monitoring services for numerous federal and state funded grant and loan programs. As an industry leader, we are here to help you meet the increasing need for infrastructure, economic development, creation of high wage jobs and improved housing in your community through the use of federal and state grant funded programs and loan sources. Guardian has over 120 years of combined team experience, and is a leader in grant research, planning, writing/application and grant administration services for federal and state initiated programs. With ongoing budgetary constraints, local governments need the financial assistance from federal and state grants to assist in their community’s development needs. Guardian professionals have worked on hundreds of publicly funded projects using every major state and federal funding source. In short, when you’re talking about overall experience from research to grant writing and administration of state and federal grant funded programs, you will not find a more knowledgeable, dedicated and ethical team than Guardian.